Business Case: Suppose we have some products which are metallic in nature and some products which are liquid in nature. The liquids can be shipped only to a specific country whereas Metal products can be shipped to rest of the countries. How can we formulate rules for that? To tackle this problem, we categorize the products into shipping classes. In this case, Liquids and Metals can be taken as two shipping classes. The below screenshot shows the above step. 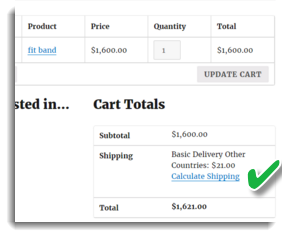 Don’t forget to press the update button (on the top right) once you select the shipping class. Shipping rules help us to formulate rules for specific cases. In this case, we would be framing two shipping rules for liquids and metals as shown below. Based on convenience and requirement, select the columns you want for framing the business rules by tweaking Display/Hide Matrix. 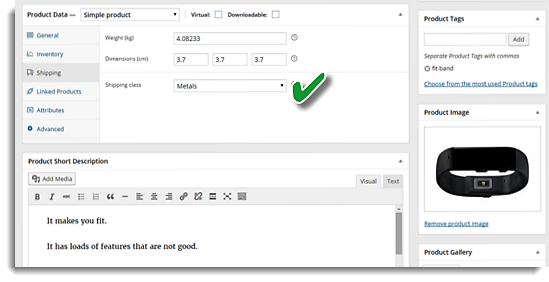 Frame the rules using shipping classes – liquids and metals. 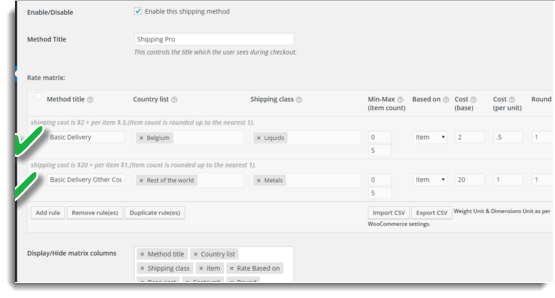 Based on the type of shipping calculation you want, select an option from the dropdown – calculation mode. Since this is a simple case of shipping different products for different countries, I have framed 2 simple rules. More complex rules can be framed which can help us satisfy most of our shipping calculation needs. Don’t forget to press the “Save Changes” button! 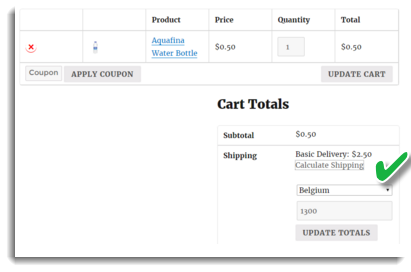 Service is fetched for the product with shipping class as Liquids and shipping address of country “Belgium”. Voila! We just framed two rules to solve the case of “Different Product for Different Countries”!